Built by McMullen & Wing yard, Auckland, New Zealand and launched in 1993, she was nicknamed "Black Magic". 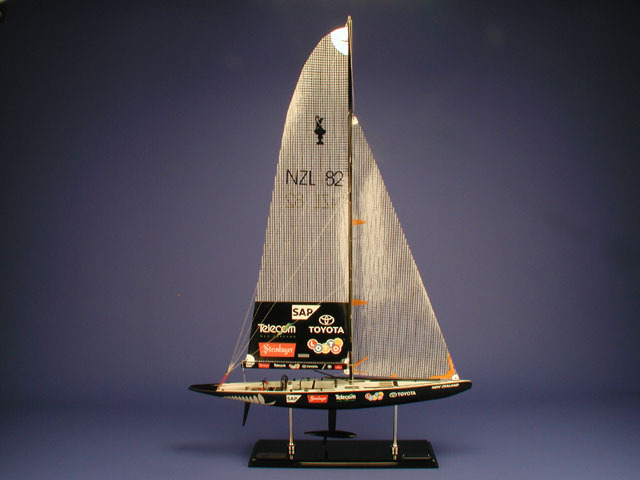 Skippered by Russell Coutts she won the 1995 America's Cup in stunning fashion, defeating Young America off the coast of San Diego, California five to zero. It has since been announced that she will become the new centerpiece of the Sir Peter Blake Exhibition entitled: 'Blue Water Black Magic' in the New Zealand National Maritime Museum. Dimensions (L x W x H): 25.0" x 5.0" x 38.0"